Sorry to still be critical, but a) what’s that “Ares Digital” thing supposed to mean? Sounds like a lot of talk and overly complicating things to me. And b) you’re aware that people will say “we’ve already donated about $1M and now you’re seriously asking us to donate another $100-250K? Are you out of your mind?”? Combined with the argument that if you *had* started earlier, less money would’ve been “burnt” on rent, etc. in the meantime, i.e. more money would still be available. Ares Digital 3.0 is a back-end database keeping track of tens of thousands of donor names, addresses, emails, and what perks they are owed. Without that database, there’s thousand and thousands of potential donors out there and no way to track them. Going forward, Ares Digital 3.0 will provide a way to donate directly to produce Axanar. The challenge is that Alec can’t publicly crowd-fund Axanar. But there is nothing in the settlement (according to Alec) that prevents him from building a private donation mechanism for direct contributions. Will people come back to donate again? Well, I’m planning to. And at least 95 people are currently signed up on Patreon to give $877/month (which is over $10K per year) after only six days. Now, $10K might be easy, but $150K could be much more challenging. We’ll see. The good news for Alec is that he isn’t limited to the one or two month deadline of a Kickstarter or Indiegogo. As long as the Patreon raises enough to keep a roof over the bridge set, there’s no time limit for raising funds through direct donations. Having the set, having some costumes, makes it more “saleable,” of course. And if you have Paul Jenkins working on your script, that’s a working pro with lots of deadlines. Under the settlement, he’s probably not paid, so there’s a professional writer slowly working on the script as a favor between paying his bills. I, too, am impatient, but I’m (at least nominally) industry and do understand how long these things can take. As a side note, along with Axanar I’ve also given funds to STC, New Voyages and Farragut. Well, STC is done -scratch that off as getting my donation’s worth. New Voyages? I donated to thier last fundraiser, just before they shut down. Screw it, Cawley can have the $50. No biggie. Farragut? I mean they’ve finished photography and have been in post production for over three years, and I don’t see fan complaining about taking three years to edit the silly thing! So. Looking forward to Axanar, looking forward to the Farragut finale, hats-off to STC for more-or-less completing everything they set out to do with some style, and I wish New Voyages would finish up that last partial episode, but I won’t hold my breath. Either way, labors of love that take massive amounts of time. I’ll wait. The records are all in a previous database…over 10,000 donors with different perk combinations. Why is everyone suddenly giving unsolicited advice? After all, I don’t see any of the folks posting managing their own 10K name mailing lists. Why not just worry about your fiefdom and let Alec handle his? because he can’t Jonny… he’s proven that time and again with two previous iterations of his own system and two (more?) bankrupt businesses. Whatever happened to “third time’s the charm”? because it’snot third times a charm. Propworx (x2), Axanar (x2), Industry Studios, OWC Studios, Ares Studios (now currently up for rent and available now according to the landlord) and 3 iterations of Ares Digital. That makes 10, and still no movie. … which is what it all comes down to. It’s been 2 years since Alec was allowed to make the movie and he still hasn’t made the movie. No one likes to be proven wrong. The debate was a shock, I’m sure, and now that Matthew has “recovered,” it’s kind of like the athlete who choked in the finals, lost, and is now trying extra hard to prove to the world that he could have and should have won. How Matthew is dealing with having failed to convince people NOT to give more money to Alec again…well, I just can’t imagine how humiliating that feels. You know Jonny, you may want to check something with your “legal eagles”. Pretty sure that since the lawsuit was against Peters AND Axanar Productions the settlement applies to both the person and the entity. If that’s the case then it would probably apply to anyone associated with Axanar Productions. That would mean you’d not be able to promote any private fundraising effort. Why? The little issue of the signed affidavit submitted to the court where you declare yourself a writer for Axanar Productions Inc.
It’d be a shame if the whole thing came crashing down because of your promotion of it. Nice try, Sando, but I already checked. All is kosher. 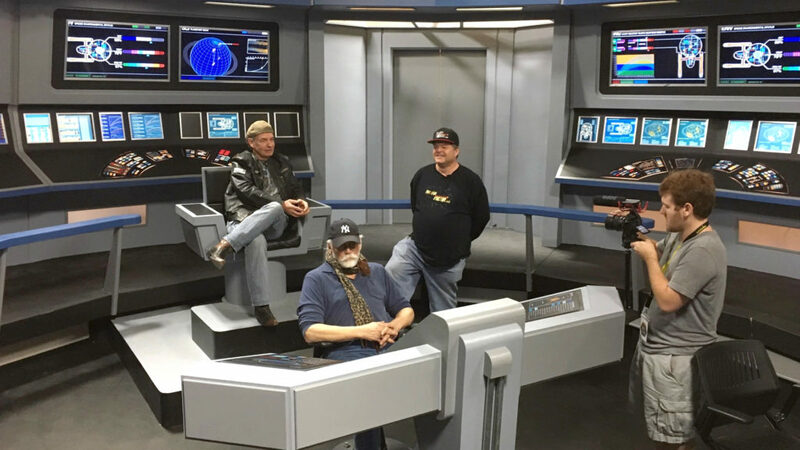 I was only associated with Axanar Productions as a volunteer. I never received a paycheck or a salary or had any official connection to them. The settlement no more applies to me than it does to any number of volunteers who helped stuff patches into envelopes or packed up the studio for the move or simply manned a convention table for a few hours. The settlement is only applicable to Alec Peters and employees of Axanar Productions. I was never an employee. As for Alec not paying volunteers, well, that’s kind of the standard for ANY fan film, right? I mean, if all volunteers were required to get paid, then CBS’s guideline saying that no one can be paid for working on a fan film would make it impossible for anyone to ever make a fan film without violating guideline #5. You don’t want to end all fan films, do you, Sandy? California law provides for exceptions from the requirement in certain cases…which would include fan films (a form of social organization). Also, as one of my legal eagles said, you also have to look at the INTENT of the law. Was it designed to stop a bunch of Trekkies? No. It was designed so that an employer couldn’t get out paying salaries by classifying some or all of his/her employees as unpaid volunteers. Wow, thanks for putting words in my mouth Jonny, but I could care less if volunteers were paid or not. There’s one big difference between you and other volunteers though, not one of them have a signed affidavit saying they worked for Axanar entered into a court proceeding. But that’s fine if you’ve been told it’s not a problem, take the risk if you so choose. I just don’t understand all of this significance being put on the affidavit. I’m obviously not an Axanar Productions employee, so I’m not considered part of the settlement. Even if I had been paid (if you counted the burrito Alec bought me), that would have been considered freelance work of an outside contractor…still not covered under the settlement. The settlement simply doesn’t apply to Jonathan Lane. Never has, never will. No risk, Sandy. Thanks for your concern, though. Whooboy ok, let’s talk about some real big issues here. “No way to track them”. Except a really, really basic excel spreadsheet? This Ares Digital thing is really a garbage head scratcher, money waster and time waster. It also highlights Alec’s failure as a producer, choosing a long and overly complicated method to deliver on perks. Ares Digital Versions 1.0 and 2.0 clearly didn’t do the trick with “streamlining” getting perks out to people in a timely fashion. So, why bother with 3.0? It’s still going to require someone to input the data collected, so why complicate it? Let me save you money, Alec. Open Google Sheets. Type in Names, Addresses, Email Addresses, Perks Owed. Copy paste donors address onto mailing label template. When a perk is fulfilled and mailed, highlight that persons name with a color in Google Sheets. Done. Next. It isn’t complicated. How about… A PayPal link? Or a Venmo account? Done. What is this weird need for a bespoke, new system? You don’t need it and you’re wasting time and money. Again, a producer’s job is to deliver a film in a timely fashion, on budget and on schedule. 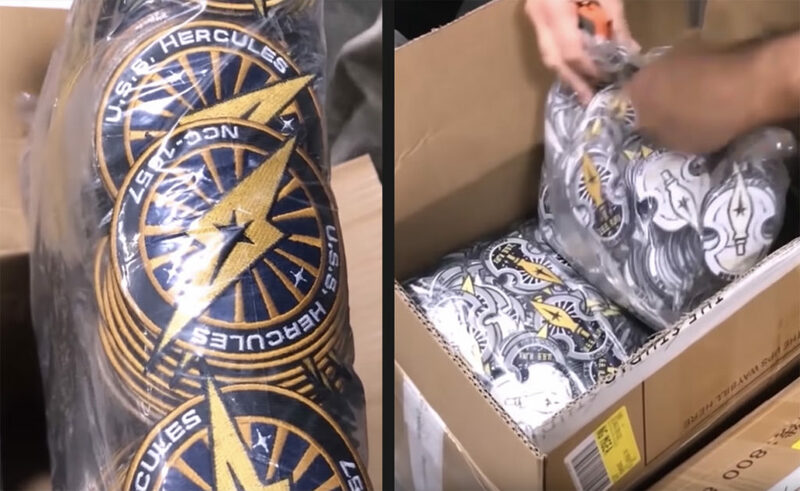 Alec has now blown past his budget, rocketed past his schedule and is now devoting his time, efforts and MONEY to a convention and a digital perk delivery service? It’s a great smoke and mirrors act, but it doesn’t make a film. Again, another example poor producing here. You are paying for a studio space RIGHT NOW. Renting a popup green screen or even buying a couple of them is peanuts. Here, let me help you: Google search “Lastolite LL LB7622 Panoramic Background 13 Foot (4M) Chromakey Green”. They’re $500 a piece. Buy two of them for $1,000 and use them to film your segments in literally any room that they fit in, and you now own them and have them forever. Renting a camera? You’re telling me in your vast network of filmmaking friends, you don’t have a single camera owner/operator who’s willing to help you out? Your director/cinematographer/editor – nobody has a connection RED or an ALEXA? Hell, how about a 4K DSLR? Here’s another tip. Go to ShareGrid.com and you can rent a RED 6K for like, $300-$500 a day. A basic Arri lighting kit for $30-$80 a day. And so on. Look, I could go on but… Here’s the bottom line: Just stop making excuses, stop spinning your wheels and stop wasting everyone’s time with tap dances about how film production works. You’re intentionally choosing to complicate it. Those of us who know how this works know that this is a lot of time wasting and shoegazing. Especially now that you’re filming it mostly as a green screen piece. You know what would raise you some more money? FILMING A SCENE. ANY SCENE. Show people you aren’t full of it and want to make your film and not invest in “digital perk services” or “conventions”. Excellent non-substantive response, Jonathan. Thank you. Do you have an opinion about the solutions I presented? Witty retort for the money-saving answers presented? Alec, if you’re reading this (and we all know you are) you know everything I said is possible and true. Your current plan of action is, frankly, very poor. Agreed! Just rent or buy a green screen, film some scenes, and then get back to raising more money. That would be the honorable thing to do, and you know it can be done. Jonathan, no need to get snarky, or is it your film? You always came across as a reasonable guy who was good with words. This time, not so much. Actually, Alec is doing a LOT of work at the moment. His paying job right now is coaching a girls volleyball program about 5 hours drive away (one-way). It’s a commute he makes once a week. When he’s not doing that, Alec is getting the bridge finished with a number of volunteers and doing regular podcasts, twice a week, in order to build subscribers and loyal followers on YouTube. He is also coordinating other volunteers who are editing together exclusive footage from Axacon–interviews, panels, and other special features. Keep in mind, even though the volunteers are doing a good portion of the work on this videos, etc., Alec had to find those volunteers, determine their skill sets, get them the resources they need, and motivate them to work as hard as they do. Even the quarterback doesn’t play all 22 positions (plus special teams), but he does call the plays in the huddle and does important work himself that no other player does or is expected to do. I didn’t say Alec is not a busy man by any means. It’s just that everything you listed there has nothing to do with getting the 2 parts of Axanr done. That’s what people complain about, not that he’s got no work ethic or something like that. The bridge? Won’t be used, and if it will, only for flashbacks (Alec’s words). Axacon? Great, the geek that I am I would’ve loved to be there, but could do without. I could go on, but I think you get the picture. But I don’t think you understand (or maybe didn’t read the interview carefully enough) that Alec IS starting. But he can’t pull the trigger on production until he’s fully funded. And like Prelude, which cost about $80K, those next two features will cost about the same each. He can’t film just one or two quick scenes to say, “Here, take a look how it’s coming along.” It’s all or nothing because each scene requires actors, a film crew, costumes, make-up, and a rented studio. It’s all or nothing. So Alec is doing what he can in the pre-production phase, including building momentum and excitement for what will be a push for private donations in another month or two. And yes, I am smart. Alec is smart, too. Seriously. He is also dedicated to getting this project done right the first time because CBS and Paramount are not going to give him a second chance. This would imply that Alec is actually making a fan film, which he currently appears to be doing anything but… Just wait. It’ll be 2020 before you know it and there won’t be a single thing for him to show for Axanar. At what point will you get it and detach from the salt leach, Jonathan? This…oh my Lord…1000% this. Show, not tell. Yep, BT, please show us how you make YOUR fan film. Don’t just TELL others how to make theirs. That’s just obnoxious. Yes, I do understand. Perfectly. It’s just that I (and as it seems, other people, too) have a different opinion on how things should be done. Someone argued that you do not have to rent a studio, you already have one. All you need is that green screen and a bit of other equipment (the guy made a list complete with prices). And yes, it would make a whole lot of sense to film all scenes with one actor on as less days as possible, but that doesn’t mean you can’t start with anything. The bridge set WILL be used, even if it’s primarily to make “bonus” scenes available exclusively to donors. “bonus” scenes available exclusively to donors. Wanna get more donors? How about encouraging their donations with special scenes that will appear only on the special edition Blu-ray (and/or DVD)? Now you might understand the power of finishing the bridge. Likewise, the Axacon panels and interviews have produced nearly 28 hours of footage that is being edited now…soon to be available exclusively to Patreon donors and later, also, to Axanar private donors. Those 28 hours won’t be released all at once. A video each week or two could easily fill a year, which will hopefully encourage people to keep signing up for the Patreon (and/or private Fan-Funder), and to stick with the monthly commitment for the Patreon. What Alec wrote about the process made perfect sense to me. He’s clearly thought through how to minimize costs and that’s great. Alec was also obviously being very careful in how he worded the part about what he can and can’t do as one would expect. 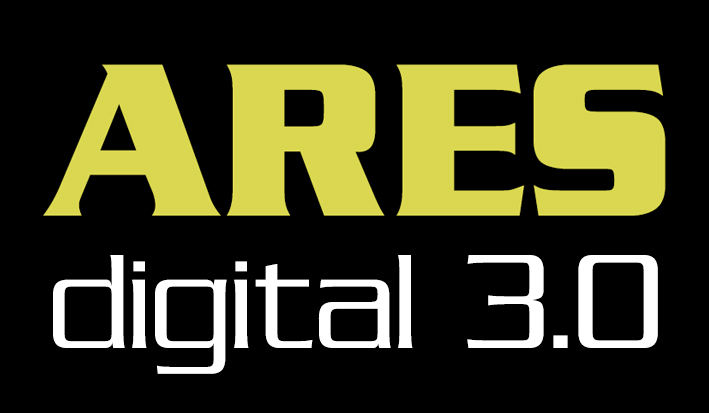 Now I’m looking forward to Ares Digital 3.0. You don’t work for Axanar? Um, you signed an affidavit saying you were a writer for Axanar Productions… that makes you bound by the settlement too, and probably why you have to clear everything with Alec first. Also, you confirmed you have signed an NDA… curious. Have you done that with any other fan film? Is that why you only write positive articles? 3) Paperwork filed with the state and federal tax authorities to cover employment taxes, social security, worker’s comp, etc. I have none of those. Therefore, legally, I am not nor have I ever been an employee of Axanar Productions. Would you care to try to debate that? I’d be happy to hear you say “but, but, but…” a few dozen times. As for the NDA, I signed it before being given a copy of the revise 30-minute Axanar script for review. Alec didn’t want it getting out publicly. I happily signed the NDA because I felt honored to be a reviewer and was eager to see how it turned out. Since then, I’ve been shown the Axanar financials and have been told about certain casting choices for the upcoming sequels. Both of those things I have been asked not to share, and so I haven’t published them. The NDA simply says that if I do share inside information about Axanar Productions, I can be held liable for damages. It does NOT say that I can only write positive things. Take a look at Rob Burnett’s NDA. Mine is identical. Tell me if there’s anything there that says I can’t write something negative. Alec isn’t my editor. He’s not my boss. He doesn’t tell me what I can and can’t write about on Fan Film Factor. But when I want to report on something Axanar-related that might be confidential, I do check first with Alec and get his approval. After transcribing our interview, for example, I e-mailed it to him, asking if there were any changes he wanted to make. After all, it’s his interview. But if I wanted to report on something negative about Axanar, I certainly could and not violate my NDA (unless I were sharing something confidential). 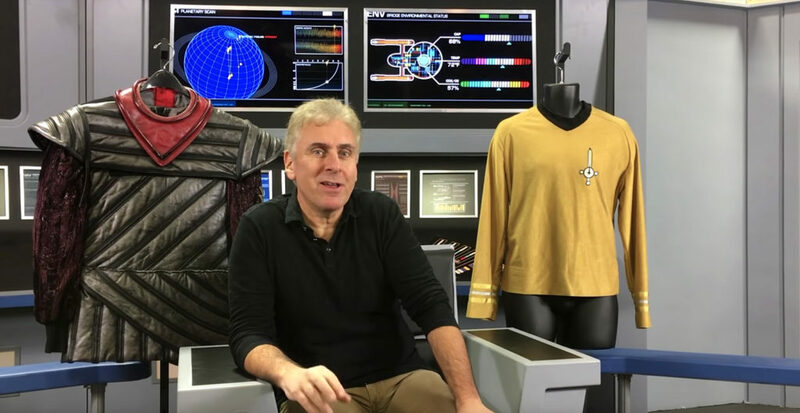 The reason I don’t write negative things about Axanar, though, is 1) I like to focus on the positive, and 2) there really is mostly good news at the moment. Barely an hour ago, the Patreon crossed 100 donors…in less than a week! $932/month will be coming Alec’s way. If your goal, Matthew, was to “educate the public” so they wouldn’t give any more of their money to Alec Peters, well…epic fail on that one, mate! Anyway, this is the last I’m going to discuss this, Matthew. It’s simply taking too much of my time to prove that the detractors are morons, and that really should be self-evident enough that I shouldn’t need to expend effort proving the obvious. I never said you were an employee. I too have a signed NDA with Axanar Productions. I am also not an employee. I have not nor have I ever received any kind of fiscal or material compensation for any time I have voluntarily donated to assist the production in whatever way I have. My, my, the “gotcha!” game is getting really tiresome. Actually, the ultimate “gotcha!” is that there are now officially more people signed up for Alec’s new Patreon after just six days (101 patrons giving over $11K a year to fund Ares Studios) than there are detractors. Gotcha! Thank you for the non-substantive response, Jonathan. Have you any thoughts about the much cheaper & existing logistical solutions I presented? A simple spread sheet & PayPal link = cheaper, faster than “Ares Digital 3.0”. It’s a time waster and a poor film producing decision. First off, great cliff hanger to the 1st part! Kudos. As to the interview. Funding a studio, re-funding a fan film. I don’t know. It could be a galvanising force that provides a facility for holding sets that doesn’t rely on the incredible generosity of a single person (Stage 9). It could be a way of setting up a business using other people’s money. I think, given a choice, I’d favour a share holding funding arrangement. But, I guess it doesn’t matter. People are at liberty to invest their own money and they shouldn’t start crying if it comes to nothing. I think, what I tell myself, is that Prelude to Axanar is the best fan film I’ve watched bar none. It was a very, very special effort. We shouldn’t forget that and I will give the benefit of the doubt to someone who could create that. Even after all this time. P.S. Separate issue, Temporal Anomaly (expected by end of the month). Any word? I’ve done a great audio interview with Samuel Cockings (REALLY worth listening to the whole way). I’m just cooling my jets until it’s ready read to post along with a link to the fan film on YouTube. The fx on the Burnett network or whatever that is, look great. I hadn’t realized Axanar needed to raise more money. Is there anything stopping a fan run campaign on behalf of Axanar? Obviously, Alec can’t endorse it publicly. But I suppose a fan could say, “Give me your money and I will collect it to give it to Axanar Productions directly.” But I don’t think that Kickstarter or Indiegogo allows that sort of thing. Not sure about the smaller services. I suspect, however, that many fans might wonder why there needs to be a “middle man.” Why not just make a private donation directly rather than risk trusting some unknown fan to really be raising the money for Axanar and not simply pocketing it (or a portion of it) for himself/herself. Not that I’m implying that you would do such a thing yourself, James. However, if people don’t know you and there isn’t any legal accountability, folks might perceive there to be at least a little bit of a risk. Sadly, I don’t have time for such a venture. I donated to the original fundraiser, but will err on the side of caution this time. As the Romulan said in TUC. “Frankly Commander, I don’t know what to think” over the whole furore. 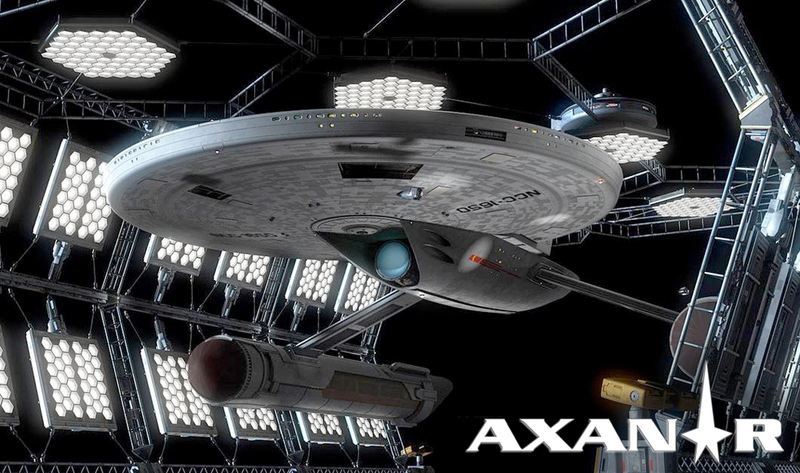 I do look forward to one day seeing Axanar. I also think a documentary on the whole thing would be quite entertaining. When enough time has passed.